The third member of a trio allegedly involved in a movie-like robbery in Marsa last month was remanded in custody after turning himself over to the police. 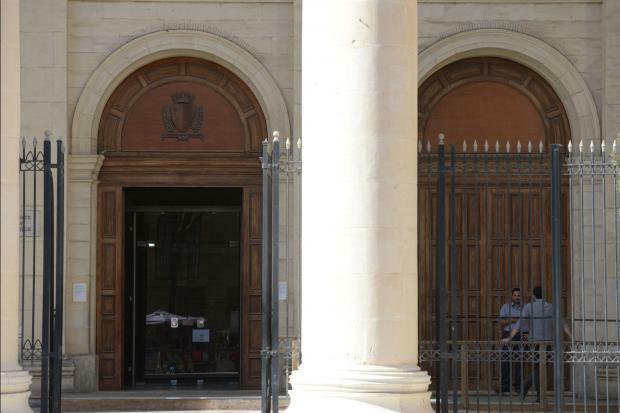 Noel Borg, a 38-year old Birkirkara resident working in the fishing industry, was arraigned over his alleged involvement in the aggravated theft of a suitcase containing some €4,000 in cash, which had taken place on November 22. He pleaded not guilty during his arraignment on Wednesday. The owner of the suitcase, a foreign national, had clung on to the robbers’ getaway car, being dragged some 60 metres from the site of the aggression in Triq is-Serkin, Marsa, suffering serious leg injuries as a consequence. The other two alleged thieves, John Mifsud and Leanne Chalbi, were arrested and arraigned last week, both being denied bail. The third member of the thieving trio handed himself over to the police on Tuesday and was arraigned on charges of aggravated theft, causing a permanent debility to the victim and relapsing. Defence lawyer Franco Debono explained that his client, having kicked his drug habit long ago, had spent 13 years working at Caritas, assisting others who were in the grip of drug addiction. Unfortunately, over the past three years, the man experienced a relapse, Dr Debono explained, adding that his client wished to seek assistance to get back on the right path. For this reason, bail under supervision would be the best option, the lawyer argued. However, this request was met with objections by prosecuting inspector Lydon Zammit who countered that the offences were of a grave nature and that the victim was still under medical observation in hospital. Although the man turned himself in to the authorities, this was only 12 days after the incident, Inspector Zammit went on, pointing out that civilian witnesses, including the alleged victim, were yet to testify. “Had he wanted to approach witnesses, he had ample time to do so,” Dr Debono rebutted, also stressing that the man had a fixed residence and a supportive family, with his son and aunt both present for the arraignment. Adequate bail conditions could serve to strike a balance between the interests of justice and those of society at large, Dr Debono continued, stressing that the decision on bail impinged upon the freedom of the individual. In the light of all submissions, the court, presided over by magistrate Doreen Clarke, turned down the request for bail in view of the gravity of the charges and the risk of tampering with evidence. Inspector Stacy Attard also prosecuted. Lawyer Yanika Vidal was also defence counsel.